What else is there that the whole family can do together, mothers as well as fathers, girls and boys equally? Or where parents can hand their children over to trained professionals, knowing they’ll be even happier and safer than with them? Skiing is both exciting and healthy – a rare combination – yet one need not be particularly fit or sporty to enjoy it. YSE holidays are extremely well-suited to families. Some of our chalets are large, some small. Some are very smart, some very good value. And some have Extra Beds for children costing half the normal price (without flights), or 85% of the normal price if flights are included (though we cannot guarantee flights for extra beds). Chalets are more relaxing for families than hotels, where parents are constantly worried that their brood will upset fellow guests, or self-catering apartments, where most of someone’s holiday will be spent shopping, cooking and clearing up. And, perhaps surprisingly, Val d’Isère is the ideal family ski resort. It has good snow, short queues, wide nursery slopes with free lifts, and extensive new beginner runs higher up the mountain at the top of Solaise. 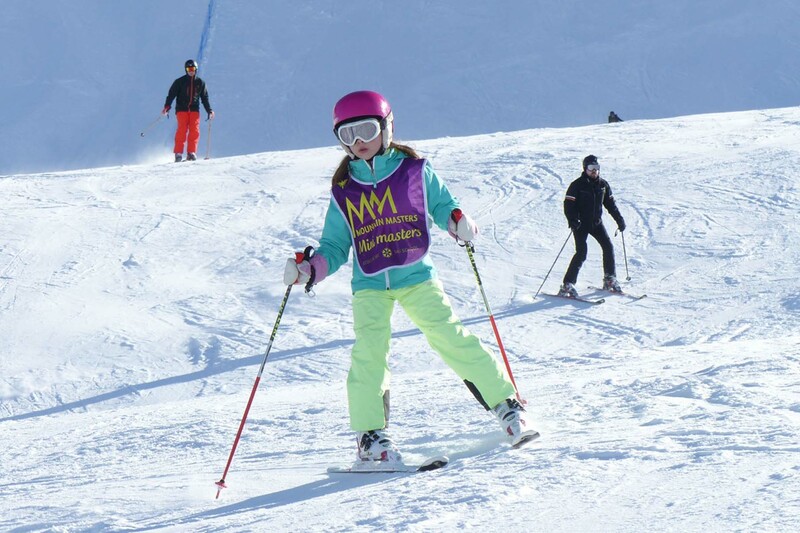 (Beginners do, however, need a ski pass to access these higher nursery slopes – please see the Ski Pass page for full details.) The flat village, free and frequent buses, very good ski schools, English-speaking instructors, and lots of British youngsters also help hugely. Where to Ski and Snowboard magazine describes the nursery slopes as ‘95% perfect’. And although we are keen skiers ourselves, our best moments are skiing with our children. However, although a successful family ski holiday is the best thing in the world, a ski holiday with children needs to be planned like an assault on Everest. 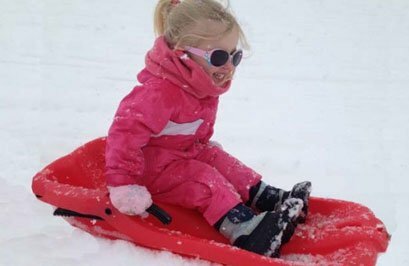 Fiona Easdale in our office can advise on most aspects of ski school and childcare, having brought her own offspring to Val d’Isère as babies, toddlers and schoolchildren. She now has teenagers and beyond, and along with others in our office who have skied with babies and children, we can offer any advice you may require. Please just email or call us on 01935 816550. Fiona’s advice would be to throw money at childcare or kids’ lessons rather than on unnecessarily smart accommodation. We see children with their own en-suite marble bathroom dumped in group lessons where they understand little and learn less. They are miserable, yet a week’s private instruction wouldn’t have cost much more than the bathroom. Ski schools get booked out, so if you need ski lessons for children in your party, we strongly recommend that you read the individual ski school descriptions in our Ski School section and telephone or email them direct the day you book your holiday, to be sure of a place in a class or to reserve a private instructor. We see family holidays ruined because classes are full and no instructors free. Private lessons are not very expensive if you can get a small group of children together, and they make life much easier. The instructor may meet the children at the chalet, for example, although this will eat into the time actually spent on the slopes. Getting children ready for skiing always takes longer than one imagines. It helps to be in a chalet whence getting them to the slopes does not require Sherpas. Several of ours are on the slopes, near the lifts, while none is too inconvenient. La Grande Sassière, La Maison du Rocher, Le Vieux Crêt and La Croix are our furthest from the slopes, but have a Land Rover shuttle. Young children who need an early supper tend not to eat it if they’ve just had afternoon tea. Our staff can serve a child-friendly high tea from 6pm. Some parents ask us to prepare a meal and leave it for them to pop in the oven earlier than that, which we are happy to do. We regret that we cannot allow guests actually to cook meals in our chalets. If your children have particular likes or dislikes (don’t they all? ), please email them to us so our staff can buy the right food. We also like to know whether your children will want to eat a separate meal earlier, or will eat with the adults at the normal time, usually around 8pm. Please email or call us for further details.